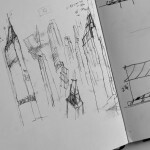 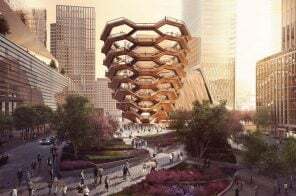 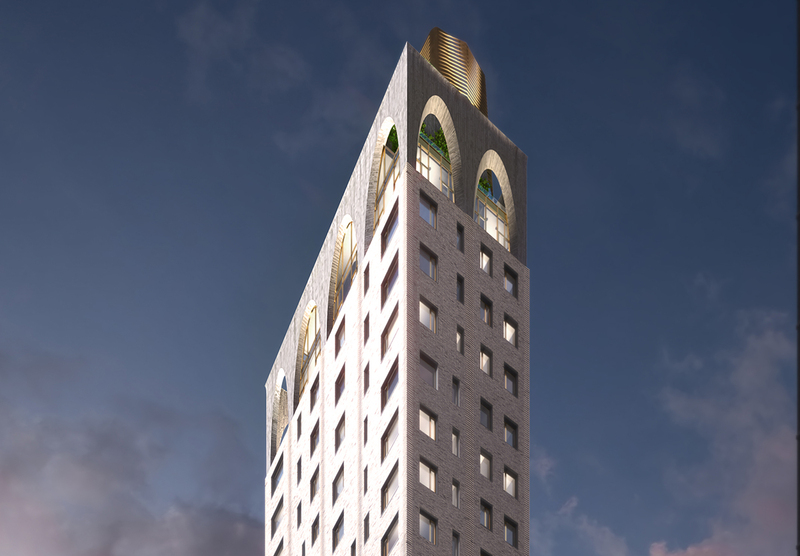 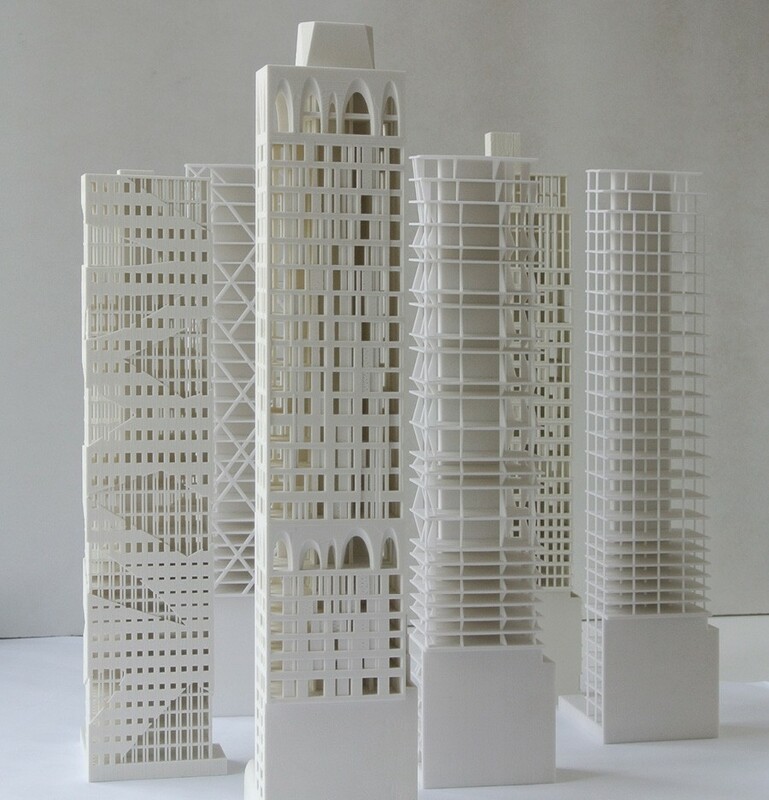 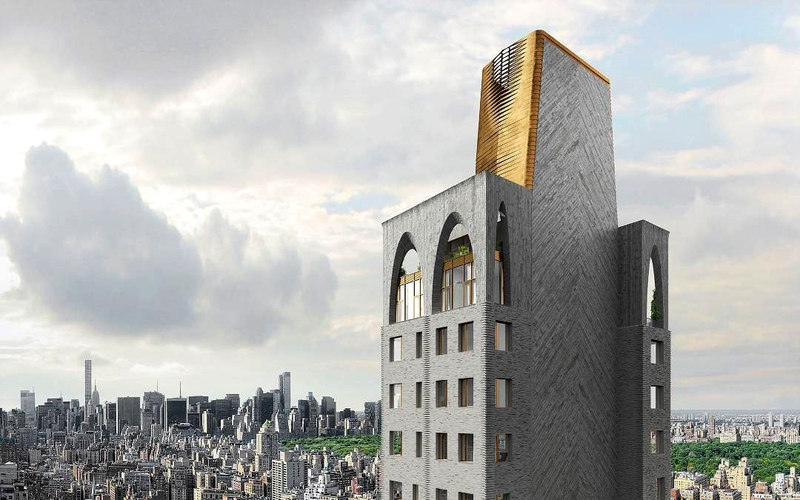 Ultimately, the site will yield a svelte 50-foot x 90-foot tower for which the team seeks to provide a “fresh perspective on the classic prewar apartment building.” The tower will rise upon a contextually scaled base and will slightly cantilever over its walk-up neighbor. 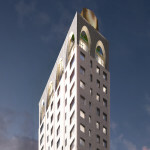 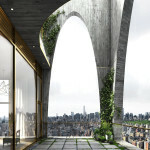 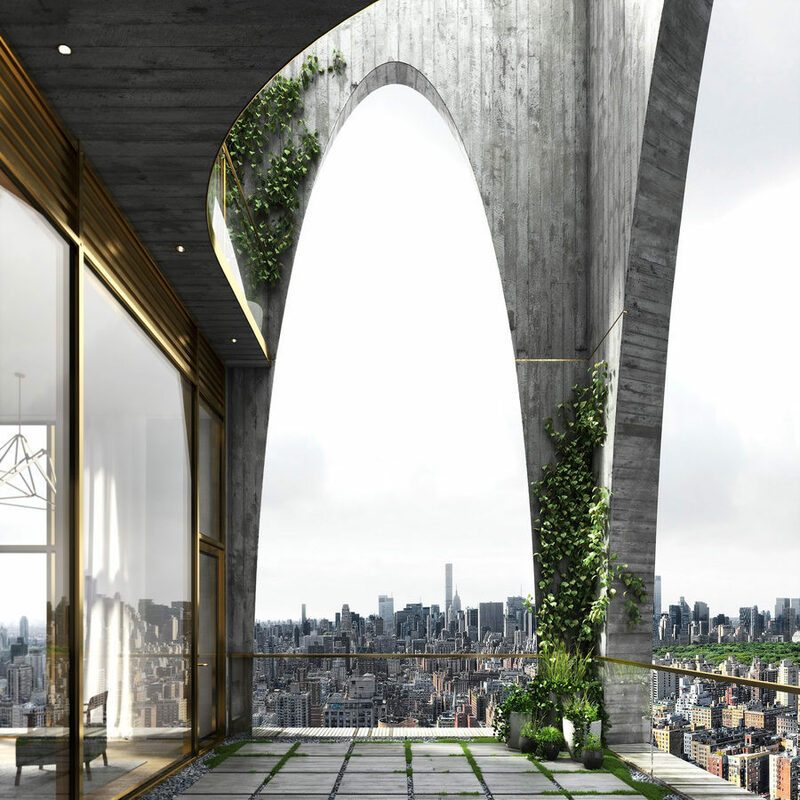 Its campanile-like profile features two sets of thirty-foot-high catenary arches, first along the sky garden/mechanical floor at the 13th and 14th levels and then again around a spectacular duplex penthouse. 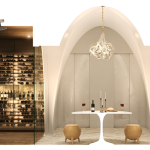 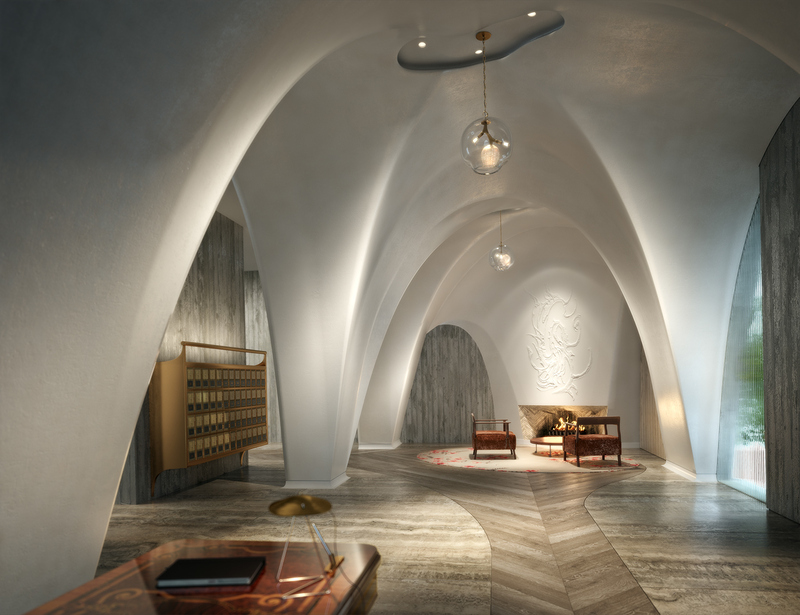 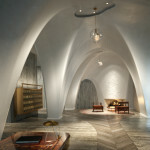 According to the Times, the “wishbone-shaped” arches, which are also present inside the lobby, were inspired by the eclectic work of Spanish architect Antoni Gaudí. 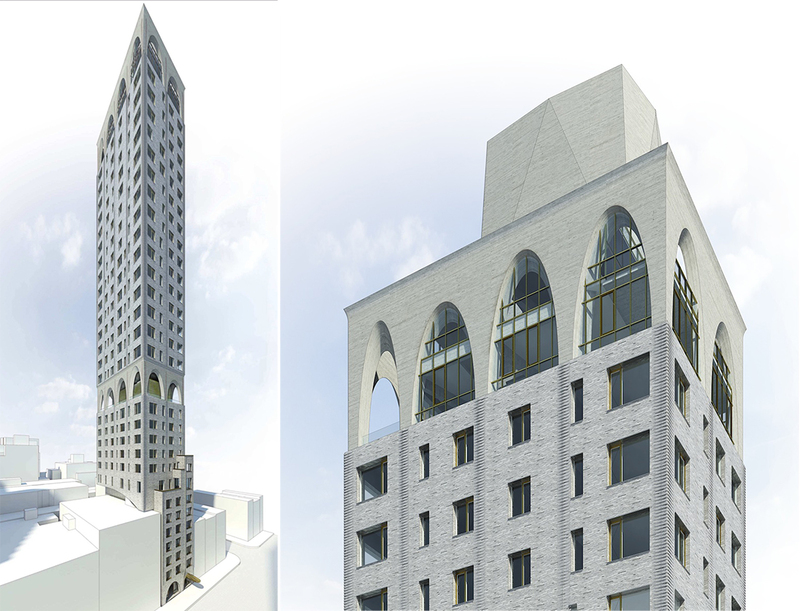 The exterior will be clad in concrete and blueish-gray Kolumba bricks, which were also used throughout the firm’s 345 Meatpacking project. 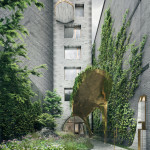 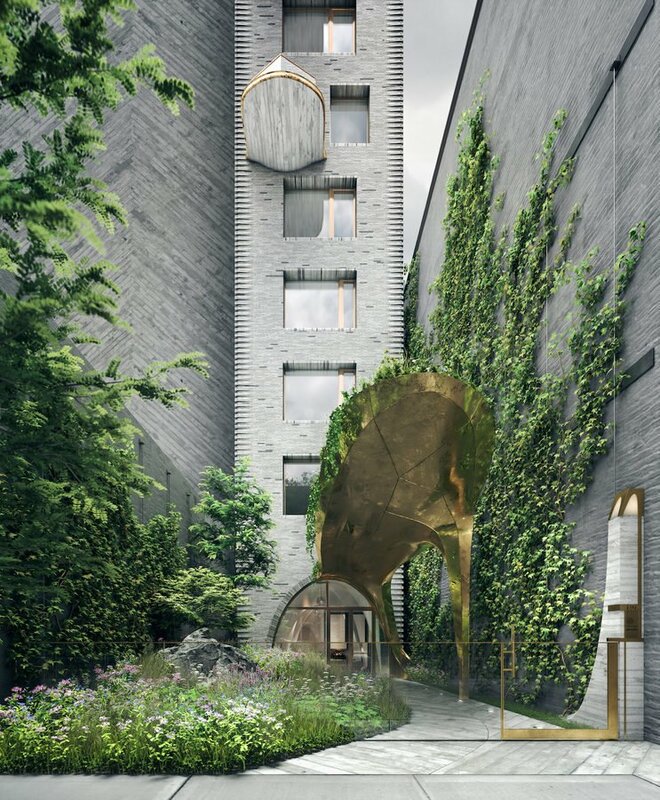 Other peculiar details include an ivy-covered brass canopy, a herringbone-patterned sheer wall, and a scaled golden-colored rooftop bulkhead. 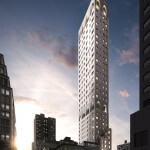 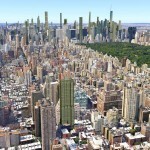 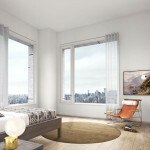 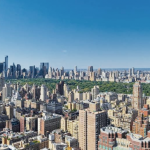 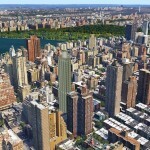 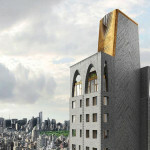 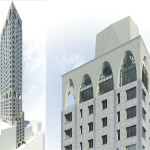 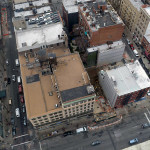 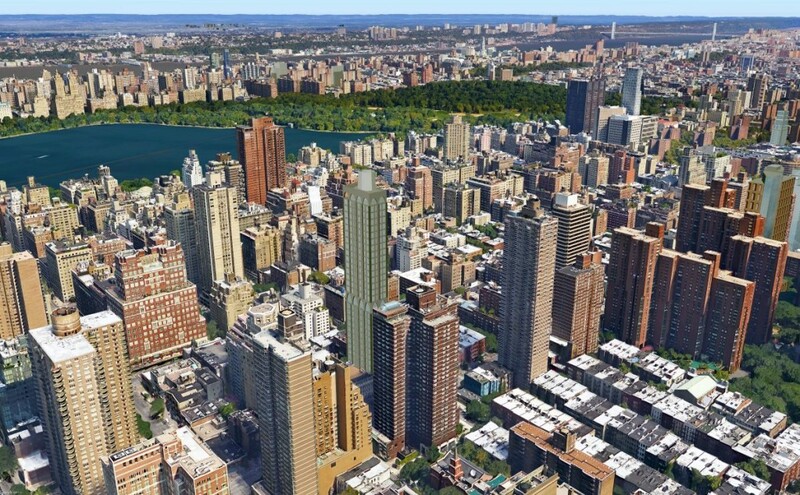 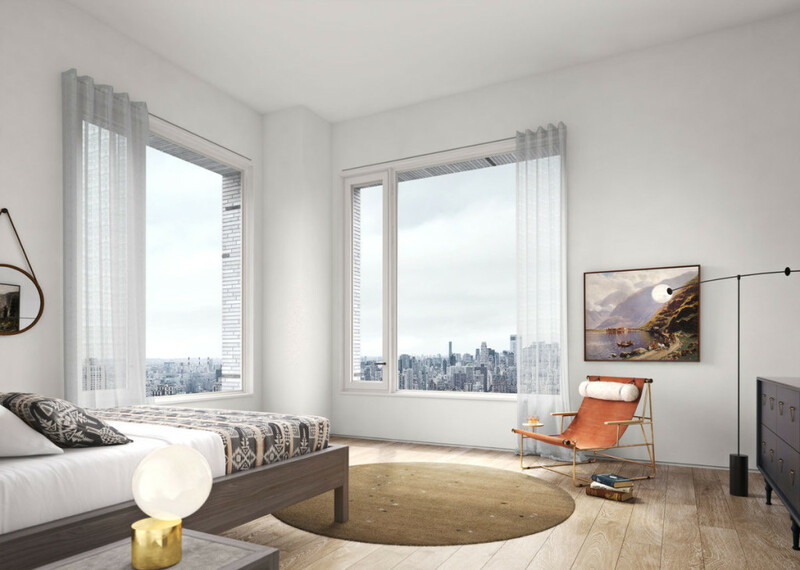 180 East 88th will grant buyers sweeping 360-degrees views of the city and its craggy skyline. 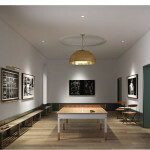 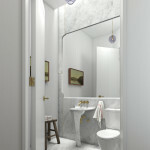 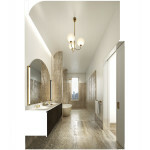 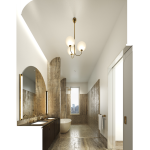 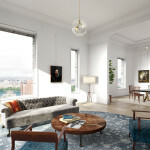 Like its exterior, the building’s 48 unique residences seek to “reinvigorate and re-imagine the pre-war aesthetic” and use a wide-array of materials ranging from wide-plank wood floors, marble-walled kitchens, and brass-hooded stoves. 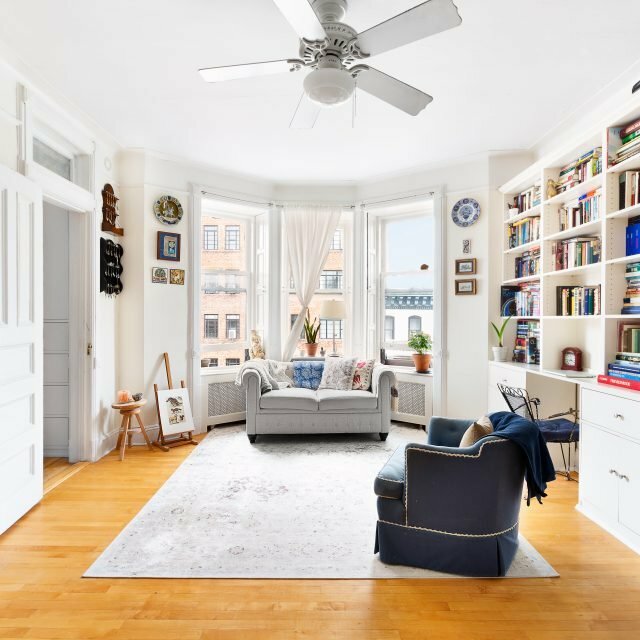 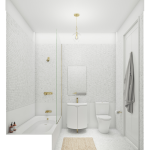 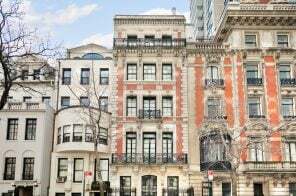 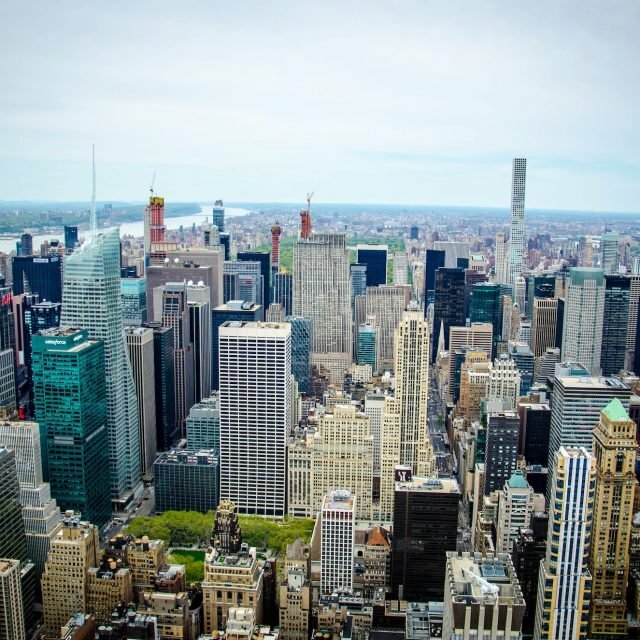 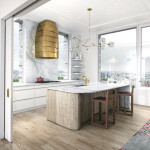 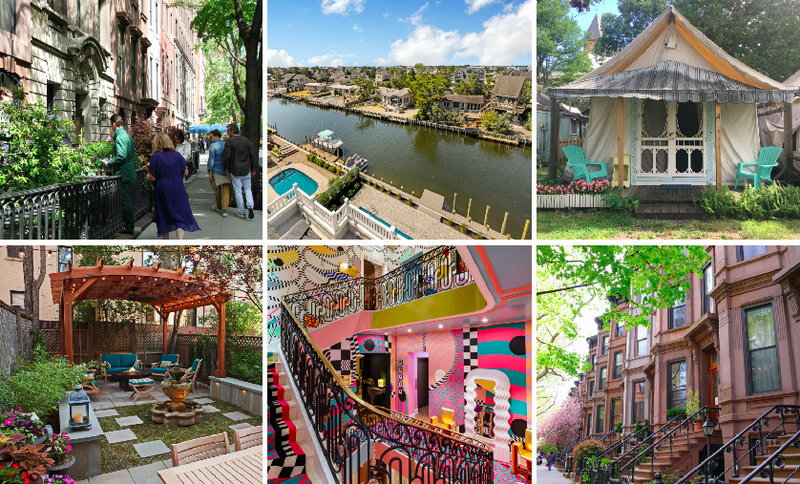 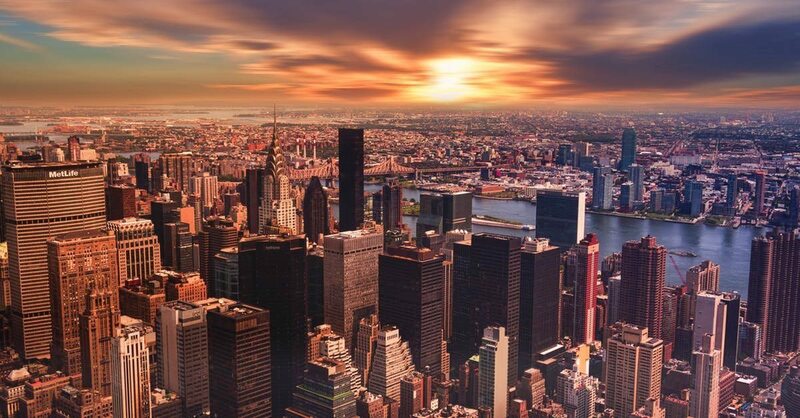 The first two units have recently come online: a third floor, two-bedroom home for $3,215,000 ($1,864 per square foot); and a 20th-floor four-bedroom for $6,600,000 ($2,790 per square foot). 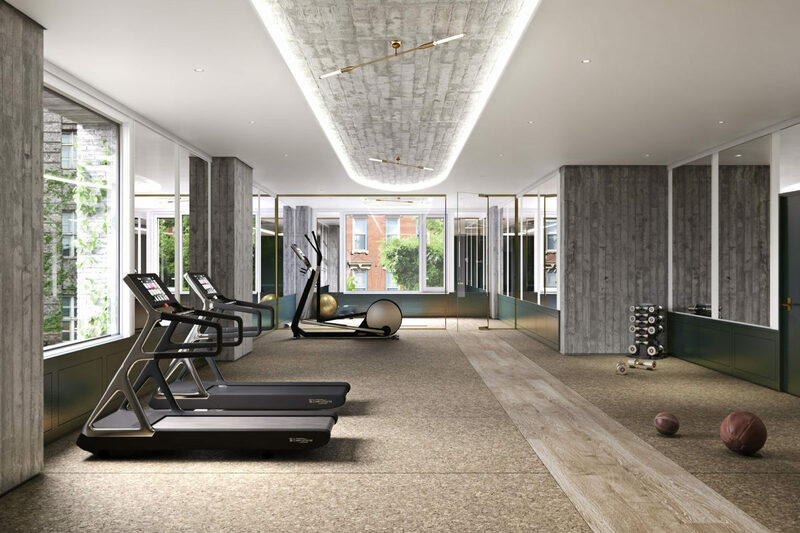 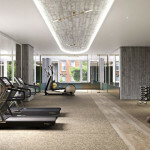 The project will seek LEED certification, and amenities will include an attended lobby, children’s playroom, teen room, bicycle parking, fitness center, sports court, and a wine cellar. 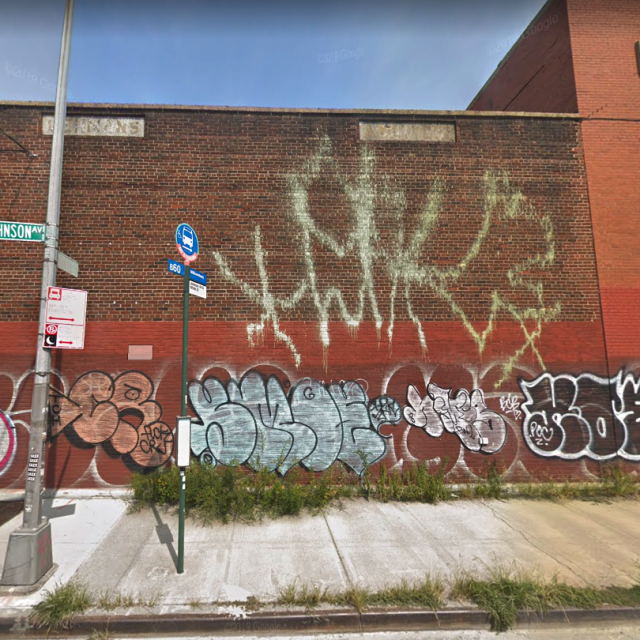 While not significantly taller than surrounding towers, when finished 180 East 88th will become the highest building between 72nd Street and Albany, besting 1214 Fifth Avenue by three feet. 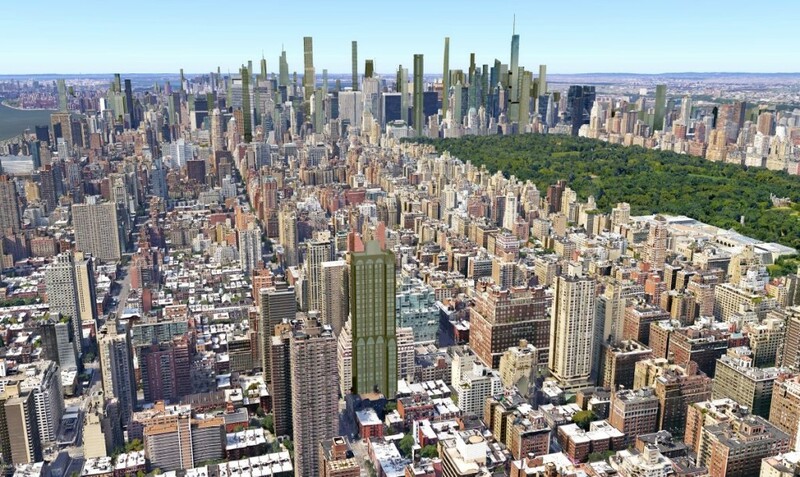 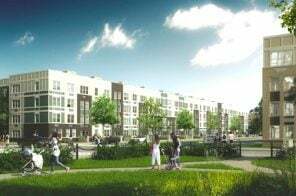 Unsurprisingly, the project’s height has sparked some outrage with a handful of neighborhood activists asking the area to be rezoned with a height cap set at 210 feet. 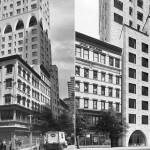 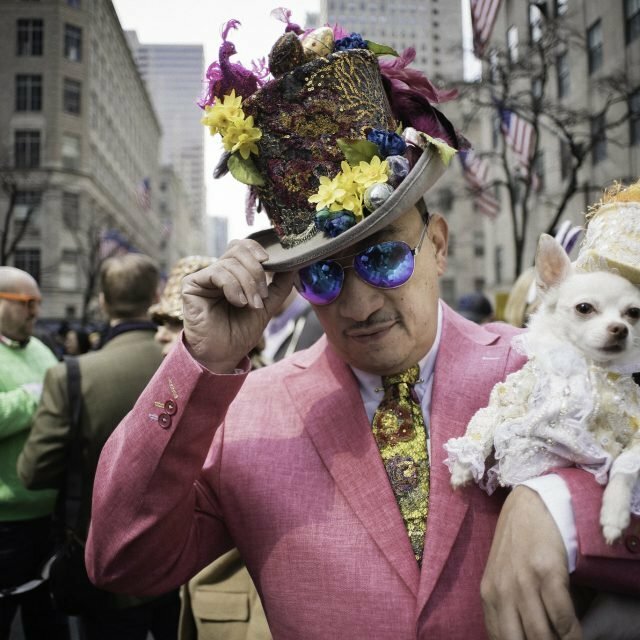 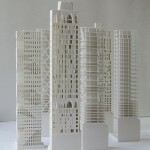 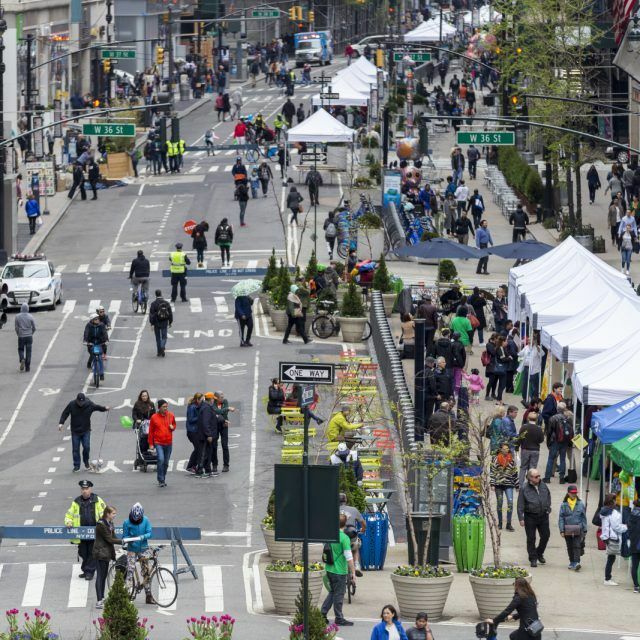 Just to the west, new construction is limited to 210-feet in height and has yielded less than palatable results with developments growing outward rather than upward, engulfing pre-war buildings and often cantilevering over them. 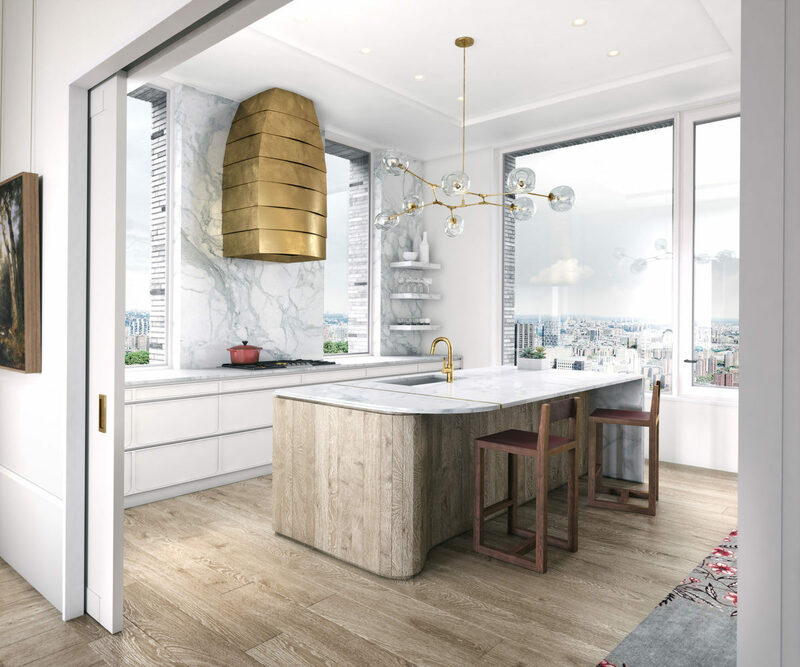 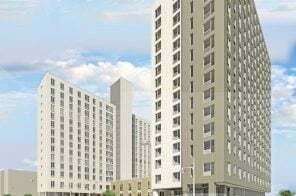 Extell’s glassy Lucida condominium demolished more than a dozen walk-up buildings to accommodate the site’s maximum floor area while remaining under the 210-foot height limit. 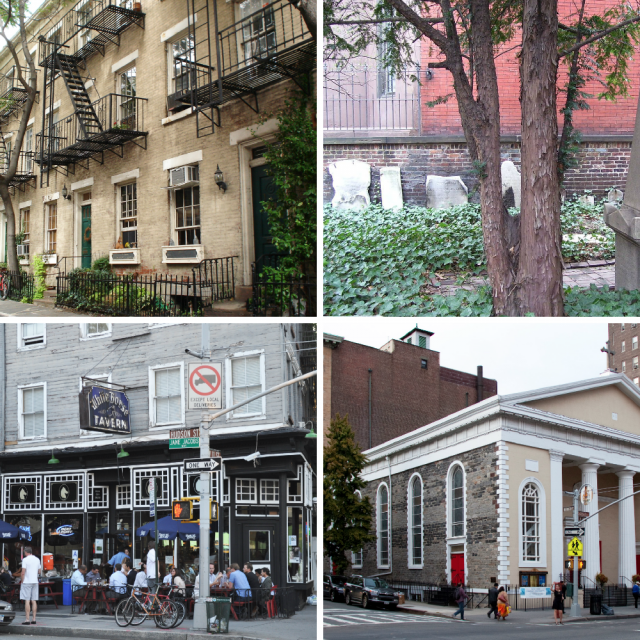 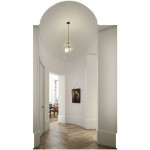 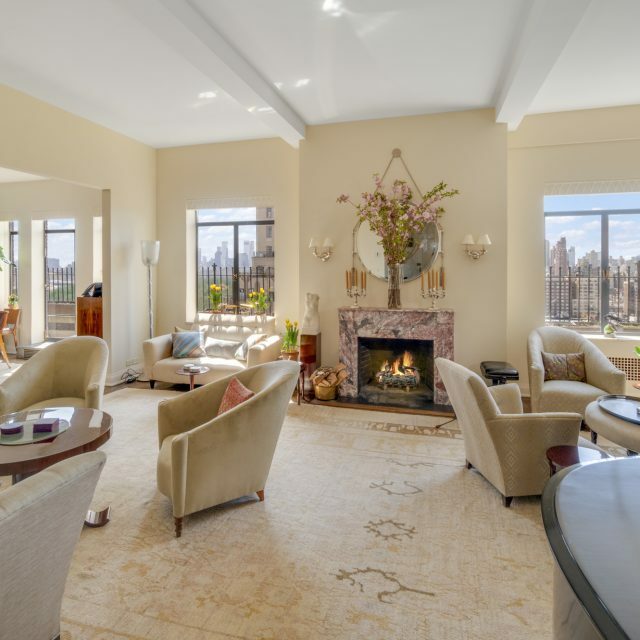 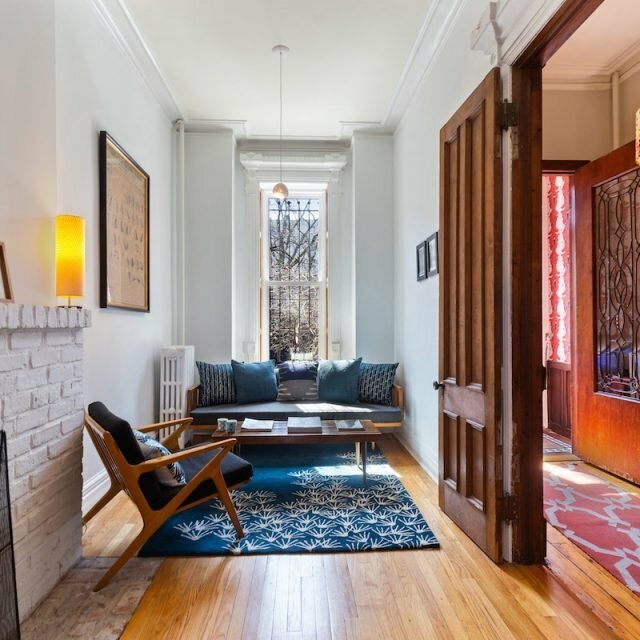 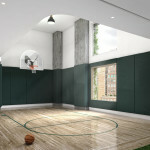 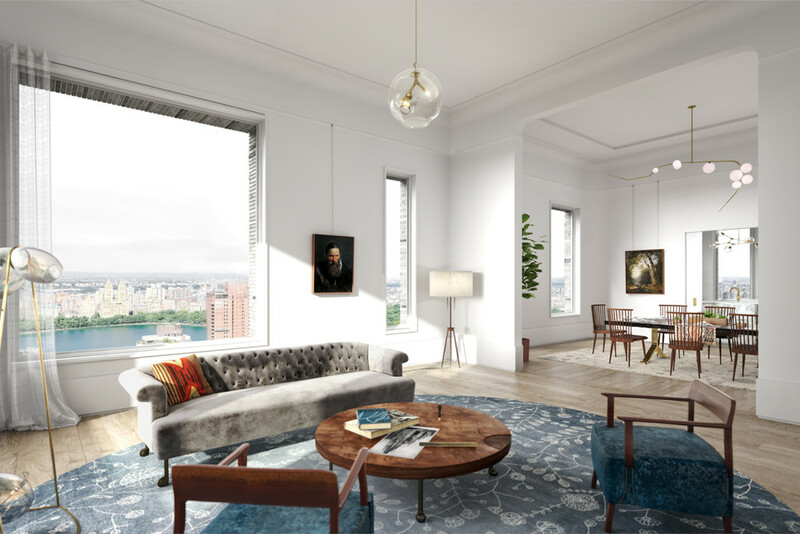 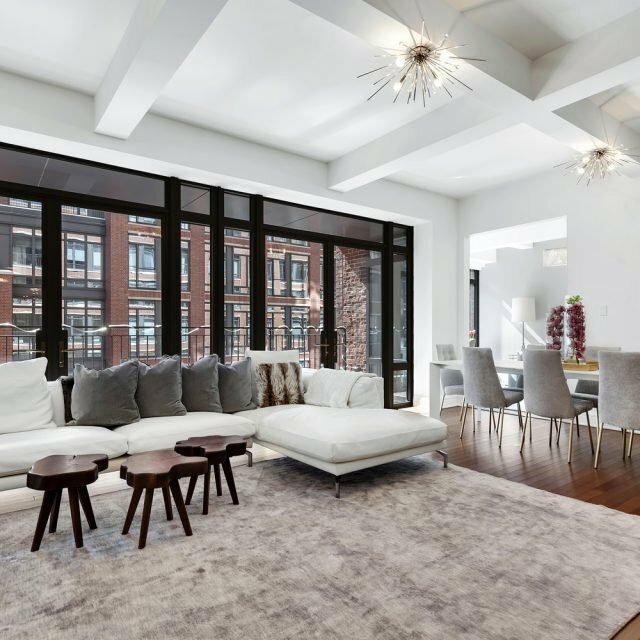 To view listings for 180 East 88th Street, visit CityRealty.